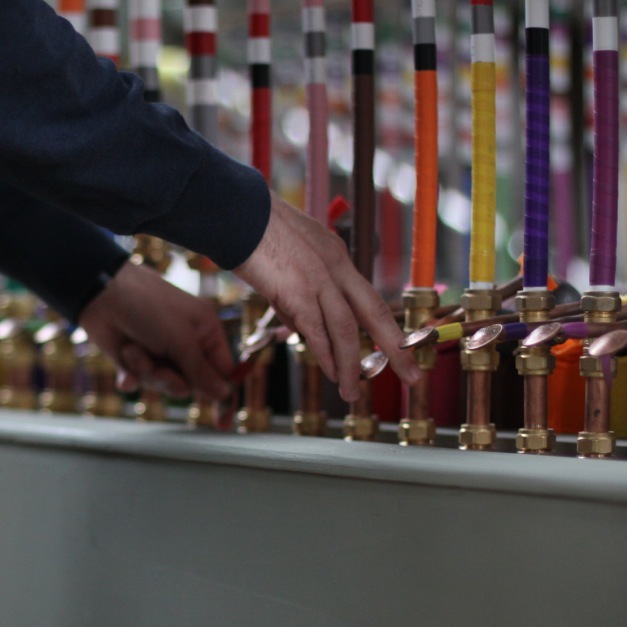 In 2013, Sarah Kenchington created Wind Pipes for the Edinburgh Art Festival. 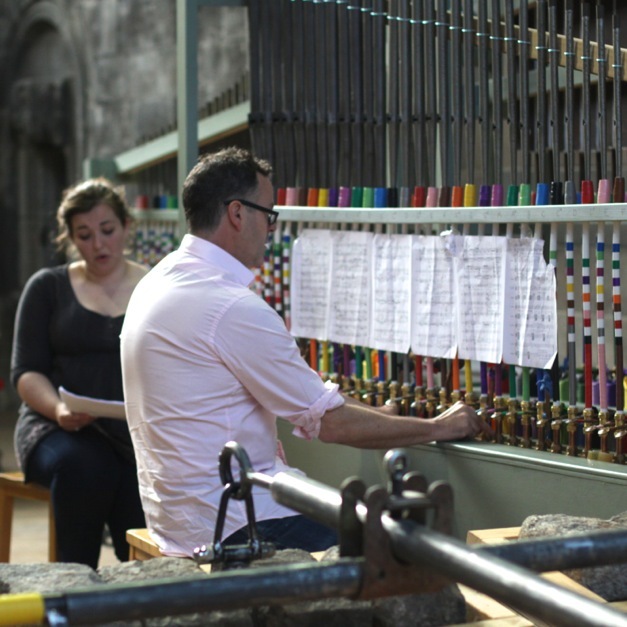 Her most ambitious construction to date, it was created from over 100 decommissioned organ pipes, assembled from salvage yards and eBay. Kenchington’s instruments depend for their creation and playing on significant physical labour, and Wind Pipes is no exception, requiring at least 6 willing bodies to man the bellows. 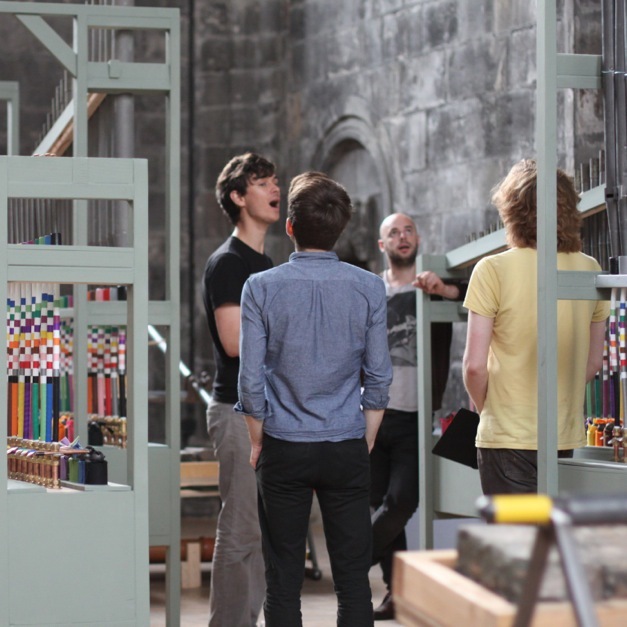 The work was accompanied by a programme of commissions, with the instrument offering a unique site for artistic dialogue and experimentation during the festival. The composers taking part included Daniel Padden, Colin Broom, Muris, Brian Irvine and eagleowl and friends. Wind Pipes is now touring. If you would like to talk to us about hosting the instrument, contact Emmie McKay on emmie@suzyglass.co.uk. Commissioned by Edinburgh Art Festival and produced by Suzy Glass. 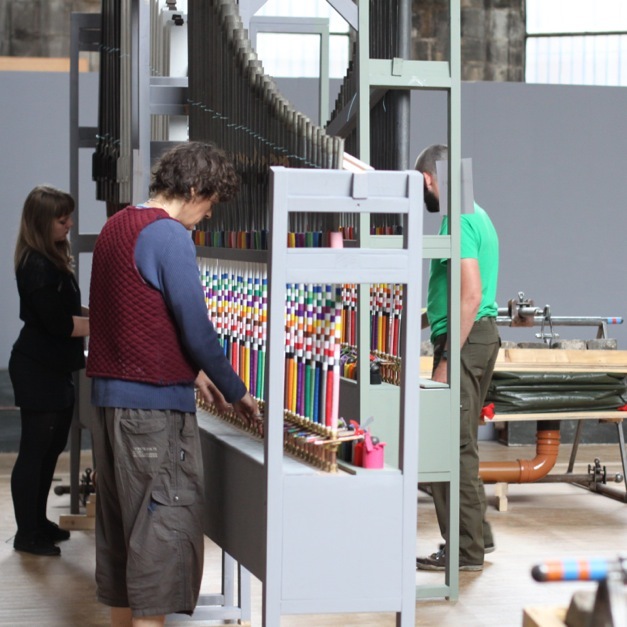 With support from PRSF, Creative Scotland and Hope Scott.